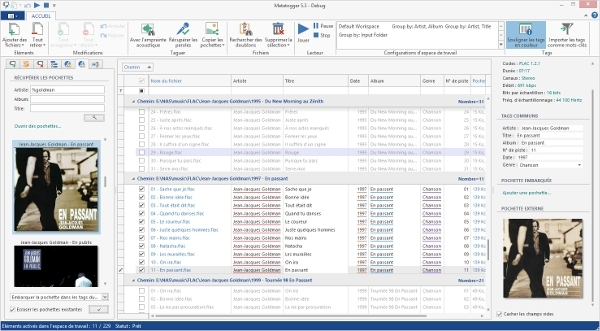 Tag Editor is a software application that supports editing metadata of multimedia file formats, rather than the actual file content. These are taggers for common audio tagging formats like ID3, APE and Vorbis comments. 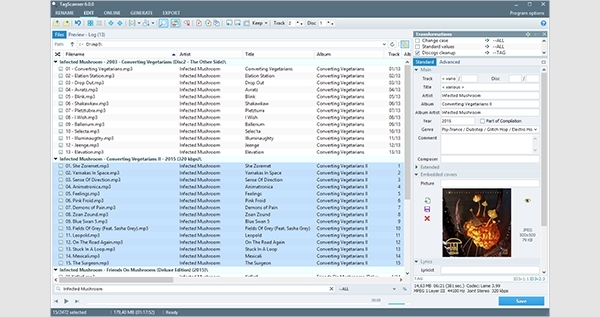 Picard supports all popular music formats, including MP3, FLAC, OGG, M4A, WMA, WAV, and more. It uses AcoustID audio fingerprints, allowing files to be identified by the actual music, even if they have no metadata. Picard is licensed under GPL 2.0 or later, and is hosted on GitHub where it’s actively developed by some awesome developers. 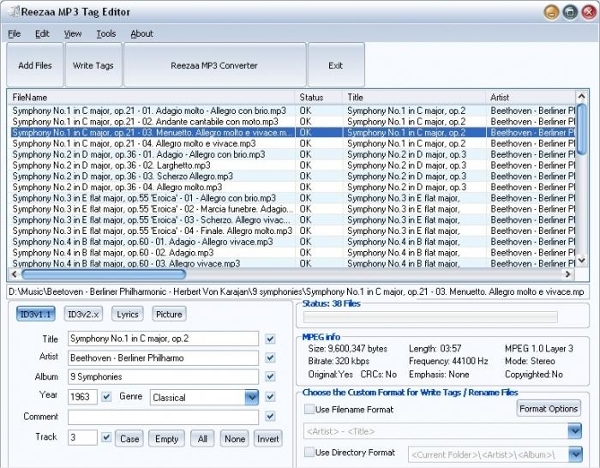 Mp3tag is a great and easy-to-use freeware tool to edit metadata of common audio formats. It supports ID3v1, ID2v2.3, ID3v2.4, iTunes MP4, WMA, Vorbis comments and APE tags. It works by renaming files based on tag information, replaces characters/words in tags and filenames, import/exports tag information, creates playlists and lot more. It also supports online database lookups from sites like Amazon, discogs or freedb, allowing you to by design gather proper tags and cover art for your music collection. 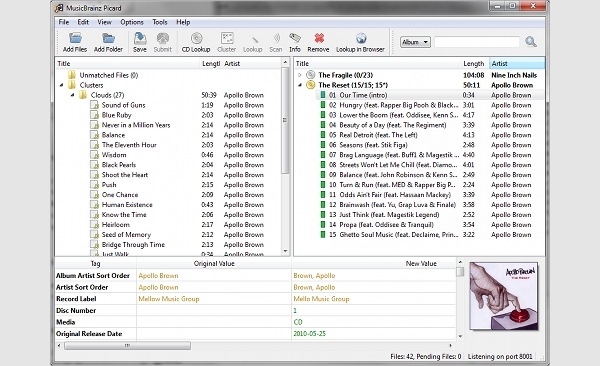 With MetatOGGer you can tag your music library in a simple way. After the first obvious step of importing your selected folders or files, they’ll all appear on the program’s interface, where you need to check or uncheck those you want to work with (use the right button to do so). 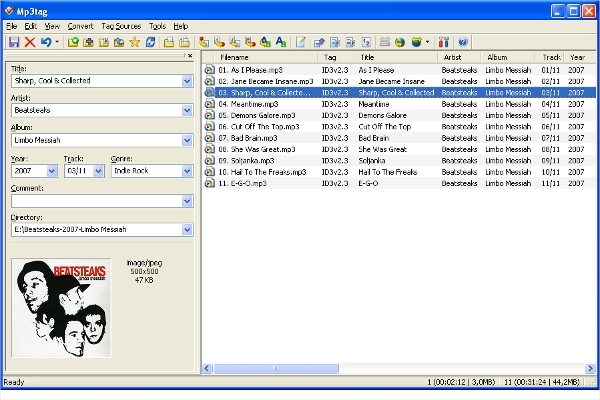 MetatOGGer gives you several options to add or edit tags in your music files: use the file name or the path to create tags from them, add the tags by yourself from scratch, extract them from a database or import them from an online database – which is usually the fastest and easiest way, though it doesn’t always work. MetatOGGer features a very attractive interface with a nice design and transparency effects. If you are a music lover and want to experiment with music, then these bunch of softwares will be handy. These easily available softwares are not that hard to operate, with user manuals and guides, one can turn into a pro, when it comes to mixing & creating new digital audio files. While most of these softwares are freely available for downloads from internet, it’s the basic version which comes with very limited functions & features. One might have to upgrade the same by paying some extra bucks inorder to enjoy the full featured softwares. Various software compatibility should be checked before installation – while most of them can play on latest versions of Windows OS, some are functional across Mac, iOS and Android OS. Besides having step by step setup guidance, these are also aided with operational manuals, which explains the function of each keys & features available on the skins of the software. FAQs provided in their sites will also give a clear idea on various queries placed forward. Websites of these softwares also provide comparable charts, inorder to differentiate versions & highlight what all features have been added to enhance the softwares. A track of this will help one to remain updated with various functioning of the software in general.